For the public talk that marks the comeback day of Drift’s 2018 Masterclass Societal Transitions, we are pleased to welcome Metabolic founder and CEO Eva Gladek. After Eva’s talk, we will continue the conversation over drinks. Eva founded consulting and venture building company Metabolic – her second startup – in 2012. She uses her expertise in industrial ecology to tackle global sustainability challenges in innovative ways. And to that end, Eva has developed multiple frameworks for systems thinking and sustainable design. She has advised more than 150 companies, industry leaders and policymakers in sectors ranging from agriculture to electronics. Eva holds a Master’s in Industrial Environmental Management from Yale University and a Bachelor’s in Molecular Biology from Amherst College. 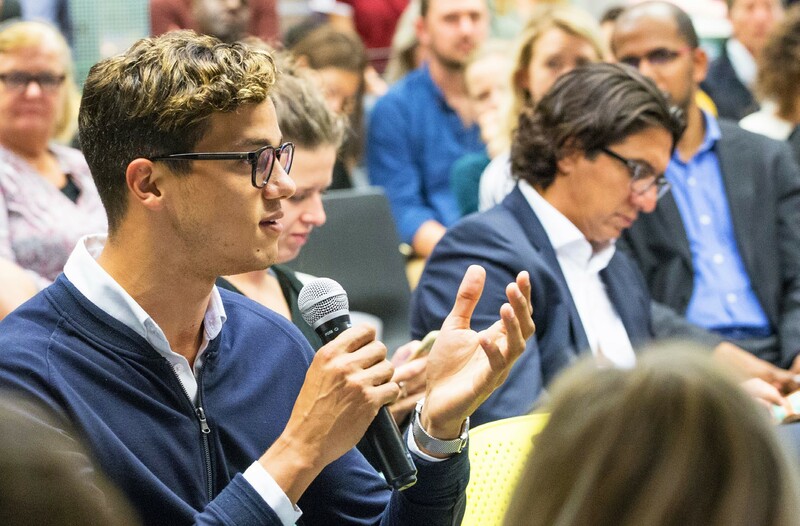 The annual Masterclas Societal Transitions – now in its third year – was co-created by DRIFT and the Impact Hub network. By providing pragmatic tools and the latest insights from transition management and impact entrepreneurship, this masterclass helps entrepreneurs, policymakers and researchers lead the transition to a better world. This event brought to you by the Dutch Research Institute for Transitions (DRIFT), Transition Academy, Impact Hub Amsterdam and Nederland Kantelt. Among Metabolic’s influential projects is a 2015 collaboration with the City of Amsterdam to create the Amsterdam’s first circular neighbourhood, Buiksloterham. And in 2017 Metabolic supported DGTL Festival’s transition to a zero-waste strategy and built tools to help other festivals reduce their waste as well. Metabolic uses systems thinking to transition our economy towards a fundamentally sustainable state. Its team develops transformative ventures and technologies, provides organisations and individuals with tools to understand complex systems, and inspires a new generation of changemakers. The public talk will be hosted by the Impact Hub Amsterdam, on Thursday 13 September 2018 from 15:30-17:00. Do you want to join this inspiring event? Register here!